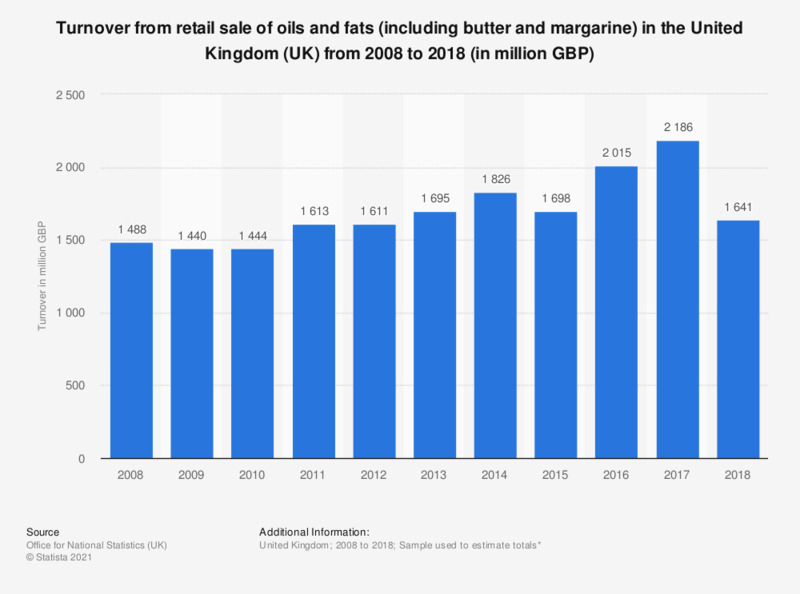 This statistic shows the total annual turnover of the retail sales of oils and fats (including butter and margarine) in the United Kingdom from 2008 to 2014. Over this period oils and fats retail turnover has increased from 1.48 billion British pounds in 2008 to 1.82 billion in 2014. Statistics on "Olive oil in Italy"
How often do you consume olive oil?